Unlocks USAS12 for use in multiplayer. Battlefield: Bad Company 2 Vietnam Out Now! Battlefiled: Bad Company Gets Conquest Mode! Full List Of Games For Xbox 360 This June 2008. HQ Network #1 Clan for BFBC2 - CyberGamer! Looking for Battlefield: Bad Company Clan! Battlefield: Bad Company this Weekend??? Get A Beta Battlefield: Bad Company! Are you buying Battlefield: Bad Company??? Battlefield 3 is now available on Xbox 360, PS3 and PC. 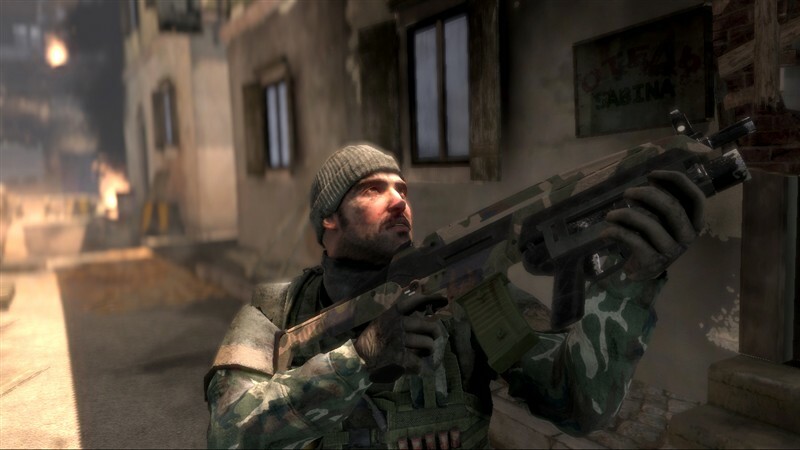 Several standout features that have defined Battlefield 2 return to the fold, including jets, the ability to go prone, and 64-player multiplayer on PC. Join the official 360-HQ Battlefield 3 Platoon/Clan: - '' . reduceurl("http://battlelog.battlefield.com/bf3/platoo.. In Battlefield: Bad Company 2, the ‘B’ company fight their way through snowy mountaintops, dense jungles and dusty villages. With a heavy arsenal of deadly weapons and a slew of vehicles to aid them, the crew set off on their mission and they are ready to blow up, shoot down, blast through, wipe out and utterly destroy anything that gets in their w..
Battlefield 4 is the genre-defining action blockbuster made from moments that blur the line between game and glory. Fueled by the next-generation power and fidelity of Frostbite 3, Battlefield 4 provides a visceral, dramatic experience unlike any other. Only in Battlefield can you demolish the buildings shieldin..
Mirror's Edge introduces players to Faith, a "runner" in a world where communication channels are highly monitored and the movement of human traffic is closely watched. When Faith's sister gets framed for a murder she did not commit, Faith finds herself on the edge of the city, on the wrong side of the law. Mirror's Edge delivers p..
Army of Two throws gamers into hot spots ripped from current day headlines where they will utilize unique two-man strategies and tactics while seamlessly transitioning between playing with intelligent Partner AI (PAI) and a live player. When one man is not enough, it will take an army of two to fight through war, political turmoil and a conspiracy ..
Highly-Anticipated Game from Best-selling PC Franchise The Sims 3 allows you to immerse your unique Sims in an open living neighborhood right outside their door. The initial feature-set unveiled includes the new seamless, open neighborhood, new Create-A-Sim, new realistic personalities(every Sim is a unique person, with a disti..
XCOM: Enemy Unknown will place you in control of a secret paramilitary organization called XCOM. As the XCOM commander, you will defend against a terrifying global alien invasion by managing resources..